It has never been easier to save cash with Monahans vacation packages on Expedia. You'll have more time to organize the fun stuff — and more spending money! Book your package deal today on Expedia and save up to C$590*! It's that simple! Within a matter of minutes, you can organize everything you'll need for your next vacation with our exhaustive database. And — with more than 400 partner airlines and 321,000 properties from all over the world, you'll have the freedom to mix and match! If you decide to change your mind, we'll honor your cancellation request on nearly all reservations with no added fees. About to jet off on your Monahans vacation? Not sure what sort of things to put on your travel program? Don't worry — we're here to give you some of our recommendations. Hiking is a popular activity and an ideal excuse to get out and experience more of the wider region. Still got some time on your hands? If you'd like to dial up the fun, also make plans to go four-wheel driving. Unfortunately, there are no accommodations right in the center of Monahans. Though, you'll locate as many as 7 options within a short drive. Cheap vacations and luxury getaways — Expedia can help you out. 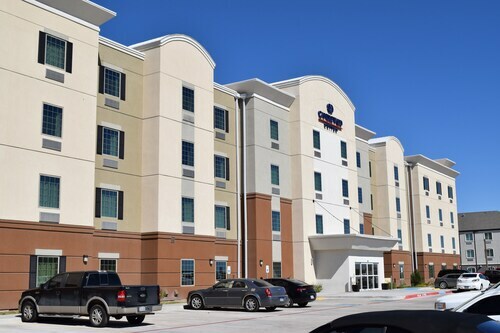 From the comfort of the Best Western Plus Monahans Inn & Suites (2101 S Betty St) or the Comfort Inn & Suites Monahans (2200 S Stockton St), you can explore all that the neighborhood has to offer. 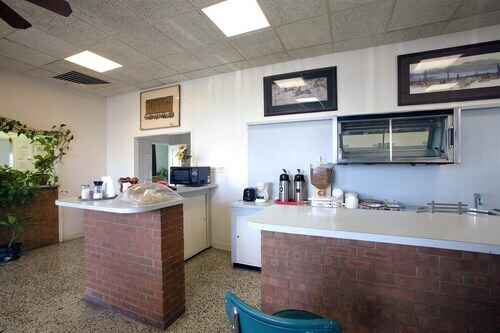 As soon as you step off the plane at Midland International Airport (MAF), you'll know your extraordinary trip to Monahans has started at last! Well, the center of the neighborhood will still be 50 miles (80 km) away, but near enough. Located in the heart of Monahans, this hotel is within 3 mi (5 km) of Hill Park, Rudy Park, and Million Barrel Museum - Giant Oil Tank. Monahans Sandhills State Park is 8.2 mi (13.3 km) away. Situated in the business district, this hotel is 1 mi (1.6 km) from Hill Park and within 3 mi (5 km) of Rudy Park and Million Barrel Museum - Giant Oil Tank. Monahans Sandhills State Park is 7.8 mi (12.5 km) away. Situated in Monahans, this hotel is within 3 mi (5 km) of Hill Park, Rudy Park, and Million Barrel Museum - Giant Oil Tank. Monahans Sandhills State Park is 7.6 mi (12.3 km) away. 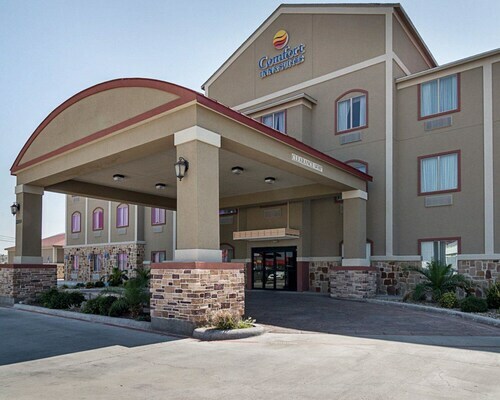 Situated in Monahans, this hotel is within 3 mi (5 km) of Hill Park, Rudy Park, and Million Barrel Museum - Giant Oil Tank. Monahans Sandhills State Park is 7.3 mi (11.7 km) away. This family-friendly hotel is located in the city center, within 2 mi (3 km) of Hill Park and Rudy Park. Million Barrel Museum - Giant Oil Tank is 2.2 mi (3.5 km) away. 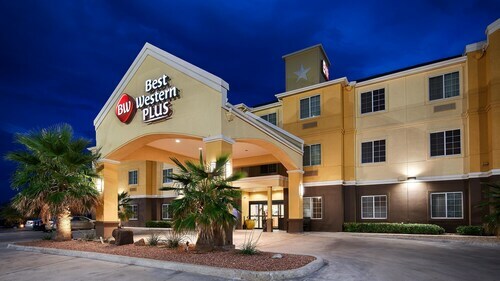 Located in the heart of Monahans, this hotel is 1 mi (1.7 km) from Hill Park and within 3 mi (5 km) of Rudy Park and Million Barrel Museum - Giant Oil Tank. Monahans Sandhills State Park is 7.8 mi (12.6 km) away. Situated in Monahans, this motel is within 3 mi (5 km) of Hill Park, Rudy Park, and Million Barrel Museum - Giant Oil Tank. Monahans Sandhills State Park is 7.5 mi (12.1 km) away. Sat., 19 Oct. - Sun., 20 Oct.